Kershaw Launch 2 Auto Black Serrated Knife | BUDK.com - Knives & Swords At The Lowest Prices! 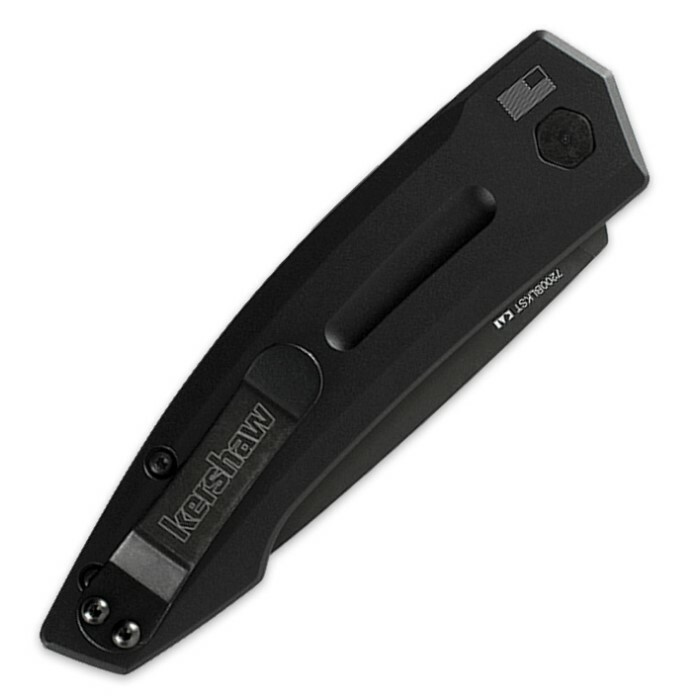 Kershaw’s Launch 2 will satisfy your automatic attraction! 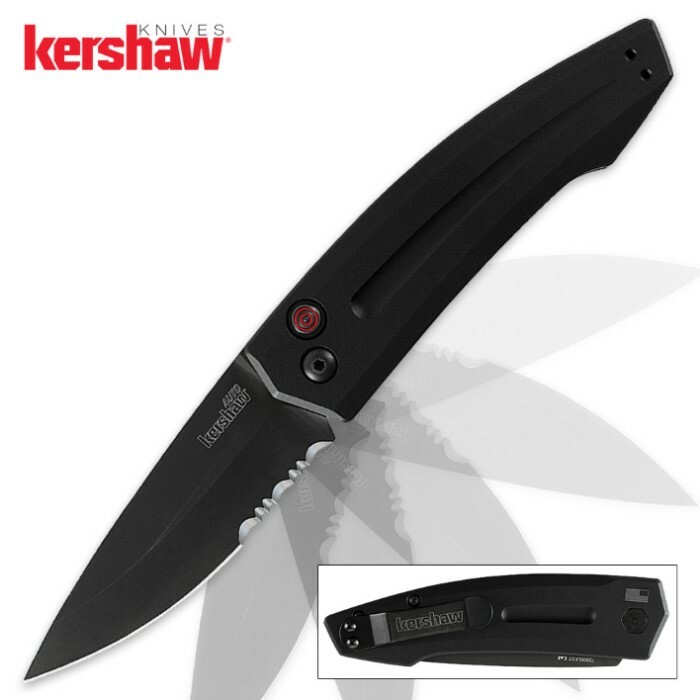 This automatic knife features CPM154 blade steel, a strong opening kick and a partially serrated blade that is tough and wear-resistant. The blade is stonewashed to hide use-scratches and fingerprints. To lighten the Launch 2's weight, the handles are durable anodized aluminum and are contoured to fit snugly in the hand. A reversible pocket clip is included. For left-handed use, use your index finger instead of your thumb to press the blade-release/lock button.